Article II, Section 2 of the Constitution requires the president to “nominate . . . by and with the advice and consent of the Senate . . . judges of the Supreme Court.” With his nomination of Judge Brett Kavanaugh to succeed Justice Anthony Kennedy, President Trump has done his part. But if recent experience is any guide, the Senate has no intention of doing its part. If Article II’s “advice and consent” directive means anything, it means that the Senate must undertake genuine due diligence — not just going through the motions of interviewing the nominee, but probing deeply into his legal views. How can senators make up their minds on whether to invest Kavanaugh with the immense power that comes with a seat on the Supreme Court unless they make it their business to understand what he would do with that power? Yet when the Judiciary Committee convenes this fall, everyone expects Kavanaugh to follow the unedifying example of Neil Gorsuch, Elena Kagan, Sonia Sotomayor, and other recent Supreme Court nominees. His handlers will coach him to respond to questions with courteous strings of platitudes, delivering mini-lectures on Supreme Court doctrine and displaying his command of legal history. If senators attempt to draw him out on this or that contentious issue, he will assure them that he respects existing precedents as “settled law” — while simultaneously pledging to approach every issue with a wholly open mind. Under pressure to answer specific questions, he will invoke the “Ginsburg rule” or “take the judicial Fifth,” claiming that judicial impartiality prevents him from offering any hint of how he might rule in any future case. “Ever since the Senate refused to put Judge Robert Bork on the court in 1987, there has been an assumption that honest responses would torpedo a nominee’s confirmation,” law professor Eric Segal wrote last year in the Los Angeles Times. Nominees learned from Bork’s experience that it was safer to stonewall or sidestep than to give revealing replies to pointed inquiries. Except that it isn’t true. Bork’s experience did not make it impossible for Supreme Court nominees to testify candidly about thorny issues and still get confirmed. 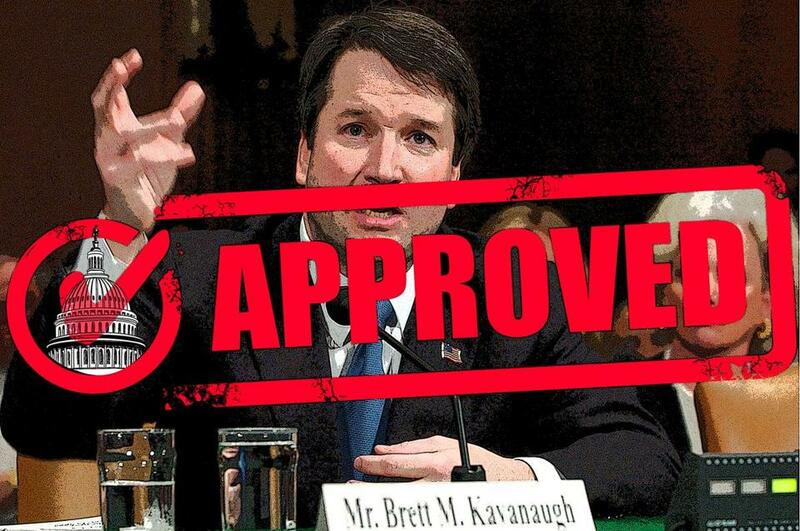 For proof, look no further than the very judge Kavanaugh has been chosen to succeed. Replacing Justice Anthony Kennedy will likely make a difference in rulings on reproductive freedom, gay and lesbian rights, affirmative action, and limits on criminal punishments. When Kennedy appeared for his confirmation hearings in 1987, emotions were still running high over Bork’s defeat. Yet Kennedy didn’t duck tough questions or resort to vague boilerplate when he was asked about divisive topics. He repeatedly gave direct answers to direct questions — including questions it might have been safer to evade. Was the Miranda decision rightly decided? 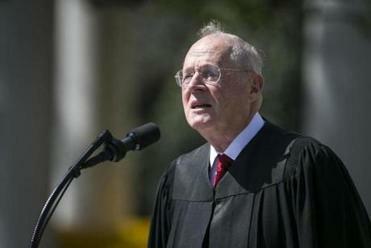 “It is not clear to me that it necessarily followed from the words of the Constitution,” said Kennedy. During three days of confirmation hearings, Kennedy expressed skepticism about relying on the original intent of the Constitution’s framers. He denied that judges are empowered “to issue any decree necessary to achieve a just society.” He said the Warren court’s sweeping changes in criminal law had imposed “a heavy cost” on American communities. More than once Kennedy gave senators answers they didn’t agree with. He knew only too well that they could sink his nomination, as they had sunk Bork’s a few months earlier. That didn’t dissuade him from engaging with them candidly. And his candor didn’t dissuade the Senate from confirming him — unanimously. Kennedy’s hearings, far from trivializing the Constitutional requirement of “advice and consent,” showed it to be meaningful and valuable. There is no reason the Kavanaugh hearings can’t do the same. Senators expected Kennedy to answer tough questions. They should expect no less of his successor.